Hi Readers, welcome to cryptocurrency price analysis for the week. Do not forget to check movers and shakers for this week at the last of the article. Its all green at for Bitcoin as the top coin touched USD 5000. The coin doesn’t seem to be stopping here the sentiment has all gone positive. 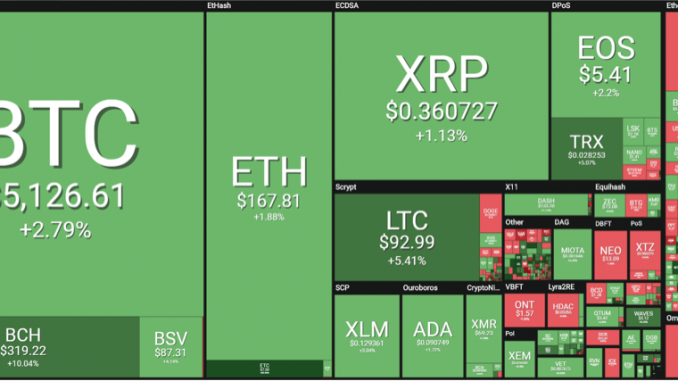 Posted on April 7, 2019 by MichaelPosted in TechnologyTagged #crypto.